Each year the knitting compulsion starts to build as the days get shorter and colder; by the holidays it’s in full swing and my main desire in life is to sit by the fire, listen to a really good audiobook and knit like crazy. Here are some of the different color combinations to try! This year I have been making fingerless gloves for holiday gifts. My initial response to these was that my fingers and thumbs were going to be cold but surprisingly they stay pretty warm and it’s great to be able to use your hands for things. These gloves are easy to make and you can go wild in the creativity department. It’s also really satisfying to complete your project pretty quickly. First cast on about 48 stitches; add more if your hands are really big or a bit less if they are small. I use circular needles as the yarn stays on them, it’s easy to carry your projects around and it makes for a smoother finished product. Next knit two, pearl two to create a ribbing for the wrist. You can make the cuffs whatever length you like and can dress them up by using differently colored yarns. 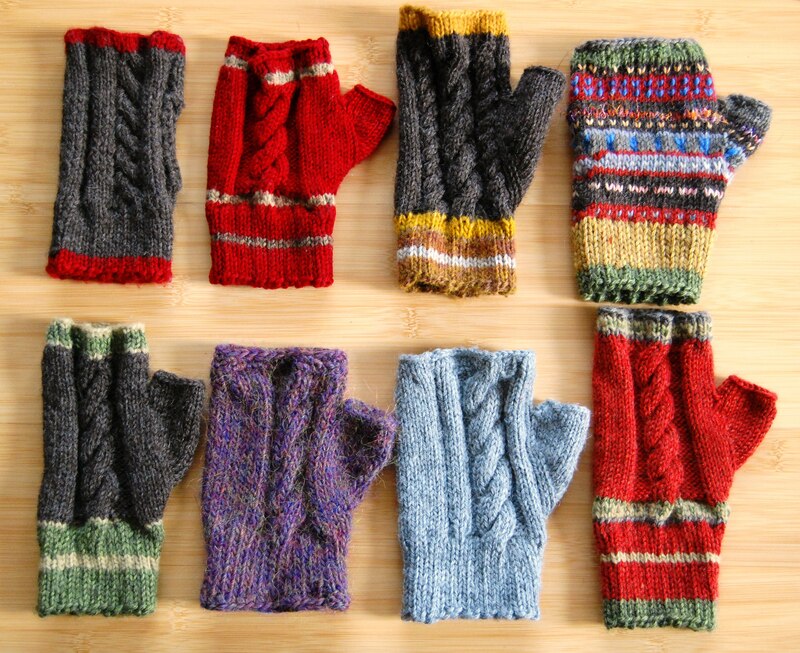 To make really warm gloves knit a long cuff then fold it back on itself to double it. 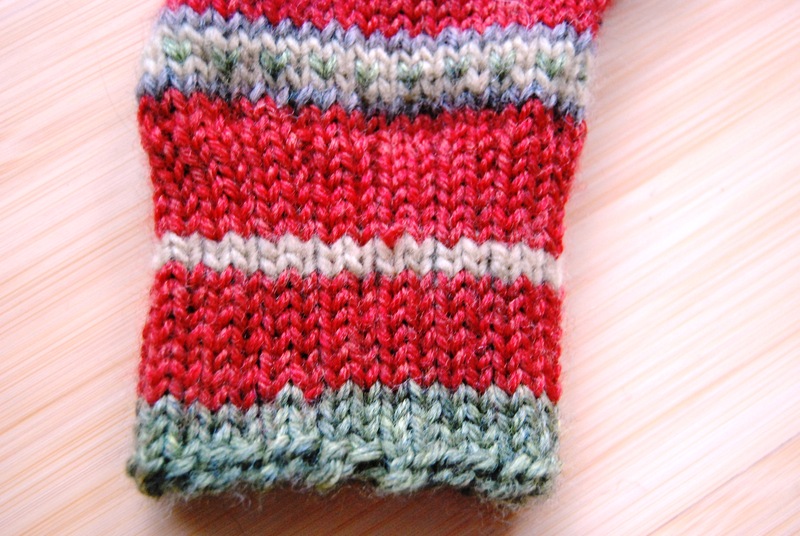 Once your cuff is of the desired length straight knit a few rows. At this point you want to put in stitch markers and start adding in a stitch on each row to make the thumb. Here is where you can get creative with changing the yarn colors or doing cable stitches. When you have about 17 new stitches added in try the glove on to see if the thumb area is long enough; if not then keep knitting but don’t add in any more stitches. Once it’s long enough then put the addes stitches on a piece of yarn and knit the circle closed. Keep going until your glove is almost as long as you’d like it to be. To finish it do a circle of straight knitting then do the ribbing of knit two, pearl two as you did in the beginning. Once you have a half inch or so cast off and finish off the thumb. To finish the thumb pick up the 17 stitches from the piece of yarn and pick up some of the stitches from the body of the glove . Knit until the thumb is the desired length then cast off. Trim loose pieces of yarn and then you’re all set!